Ever find an old iPhone screenshot in your camera roll and think about the days when you had only a few apps? Sometimes those apps aren’t even installed on my devices anymore. This year I decided to go back and evaluate some old favorites to see if they could bring back a tiny sliver of the pre-2017 joy. I used Paprika like crazy for about a year. It’s ability to extract a recipe from a webpage is remarkable. But I fell out of the habit and at the same time it got a lot more complex. I haven’t used it for many years, instead relying on DEVONthink and web archives or text notes. I dipped back into Paprika and it’s been great. The app is a lot more complicated now but that comes with some major benefits. 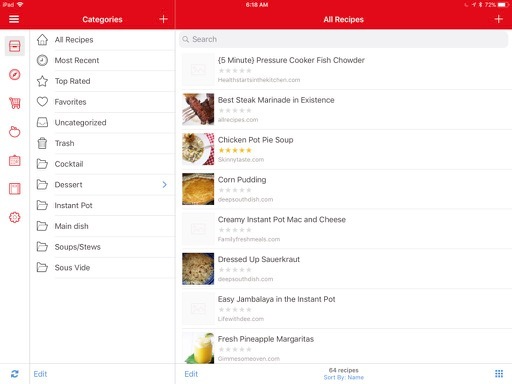 The recipe management is still great but I can also share a shopping list (partially built from recipes) with my wife. We share the Paprika sync account so even meal planning works in Paprika. There’s a huge bonus if you get your partner on Paprika. I’ll have a longer post about this, but in short I think I might be back on Day One for journaling. 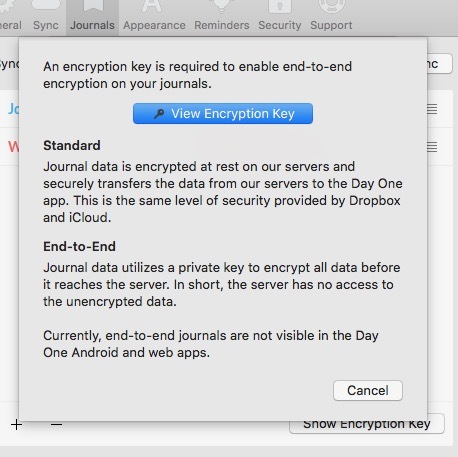 I left the app because I didn’t want to sync my personal journals on someone else’s computer. Since then there have been a few updates that focused on security. The clincher for me was the option to add on-device encryption with a key I own. Day One is a very different app now. It’s more beautiful but it also seems to have lost some of the integration options. I don’t miss those losses though. I like the automatic integration of weather and geo-location data from my iOS devices. The big bonus for me has been the multiple journal support in Day One. It still has tags, but even better is the option to completely isolate work and home entries. Day One has also switched to a subscription model, which I don’t mind. I was heartened that even years later the app imported my old Day One journal backup without issue. I feel like my data is still pretty portable if I want to leave the app again in the future. Sadly, not all of these experiments in reminiscing were heartwarming. I haven’t used Omni Outliner as much since I started to do more in iThoughts for outlining. Forcing myself to use Omni Outliner really did feel like a return to a much less convenient past. 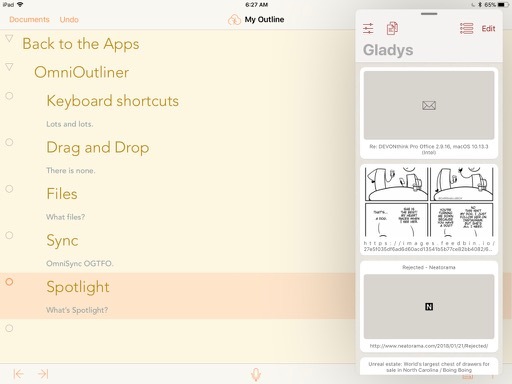 While I'm a big fan of other Omni apps like OmniFocus and OmniGraffle, Omni Outliner simply lacks features I expect now. On the iPad there's no drag and drop. There's no iCloud sync built in either. I must store documents directly in the Files app if I don't want to use OmniSync. Even the integration with the Files app on iOS is awkward. I still feel nostalgic about Omni Outliner and love the styling options. I also still love outlines for ruminating and collecting ideas. If I was only working on my Mac then I'd be right at home on Omni Outliner. Since I'm split between macOS and iOS I need something that works well on both.